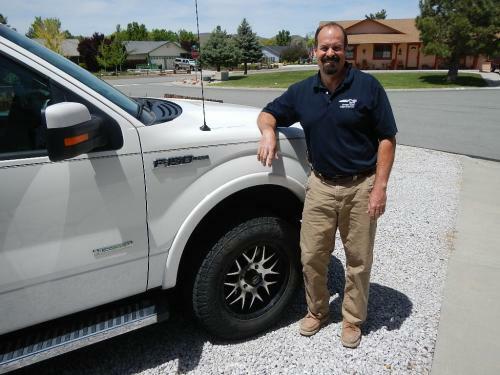 Serving Reno, Sparks, Carson City, Fernley, Fallon, Minden/Gardnerville and all of northern Nevada | Sierra Nevada Home Inspections, Inc. Welcome to Sierra Nevada Home Inspections. We pride ourselves in providing professional, honest, competent and thorough home inspections. Check out our services and as always, we appreciate your business. We have been performing home inspections in Reno, Sparks, Carson City, Fernley, Fallon, Minden/Gardnerville and all of northern Nevada for over 12 years now. The decision to buy a home is seldom easy: it's major, complex and very personal. Along with the consideration of price and the various appeals of neighborhood, style, size and floorplan, the fundamental question arises - is the house itself sound? What kinds of repairs may be in order, and what can reasonably be anticipated in the way of costs? Have you ever considered having a mechanic check out a used car you are interested in buying? The purchase of a home is a much larger investment and should be taken even more seriously. A professional home inspection prepares you with documented facts about the physical condition of the structure and all its working components...the data you need to make unemotional, intelligent, informed decisions. Feeling really confident about one of the largest investments in your lifetime will take only a few hours...and will provide complete understanding of your new home. This is no time to shop for the least expensive inspection. The cost of a home inspection is very small relative to the home being inspected. We are determined to perform inspections of the upmost quality, with integrity. For a buyer, we make sure that they know and understand every fact about the property that they are purchasing. For sellers, we will provide a report that gives 100% full disclosure, with no worries of a buyer coming back and questioning anything regarding the property. The majority of our business is from client referrals and from real estate agent recommendations. We work directly for the client. Our job is to ensure that the client understands every item that may be reported. Our job does not end after the report is completed. Should you have any questions later, you are encouraged to give us a call and we will do whatever it takes to ensure that you are completely comfortable with the property. 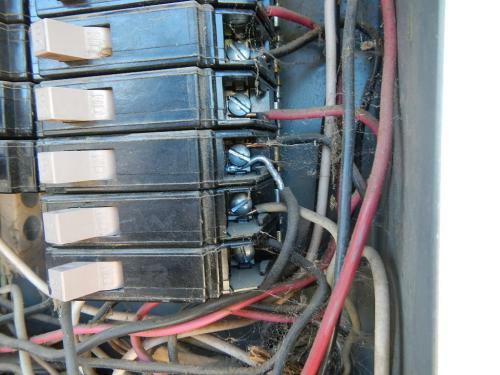 A double-tap (two wires on one circuit) and one is single conductor aluminum wiring!